The Victorians, he explains, preferred "this second approach, . 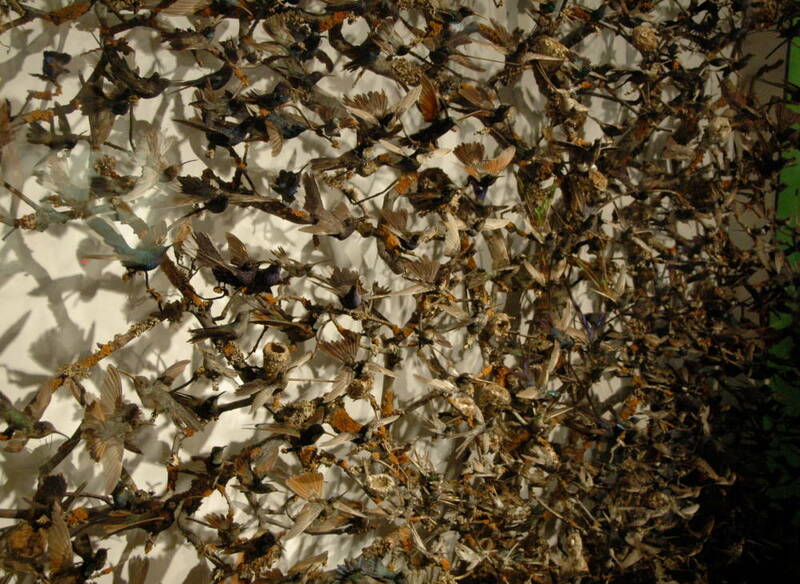 . . which thrives upon an exquisite tension in commingling (not always comfortably, for they truly conflict)" two earlier traditions of collecting and displaying objects. On the one hand, Victorian museums draw upon the seventeenth-century "passion for displaying odd, deformed, peculiar, and 'prize' (largest, smallest, brightest, ugliest) specimens, the Wunderkammer (or 'cabinet of curiosities') of older collectors" (243-44). On the other, like Linnaeus and other Enlightenment thinkers, they desire "a systematic display of nature's regular order within a coherent and comprehensive taxonomic scheme" (244). 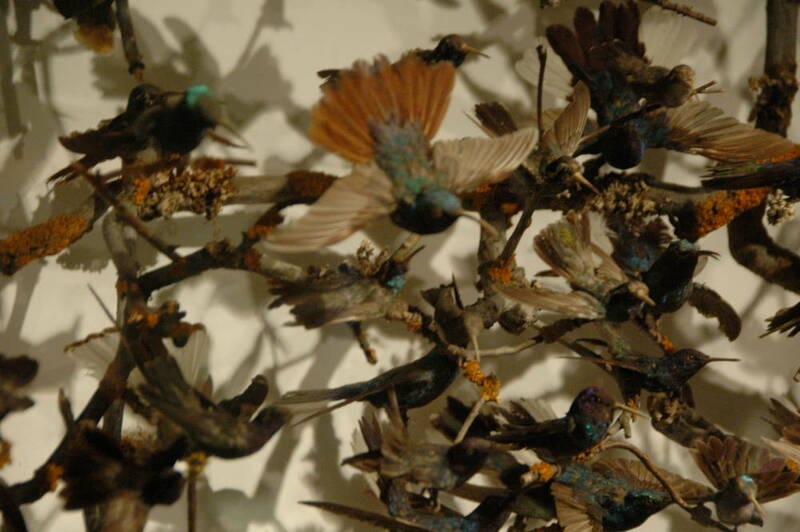 Two closer views of the birds in this cabinet, which much resembles Gould's description of Victorian displays. A display of "odd, deformed, peculiar, and 'prize' (largest, smallest, brightest, ugliest) specimens". 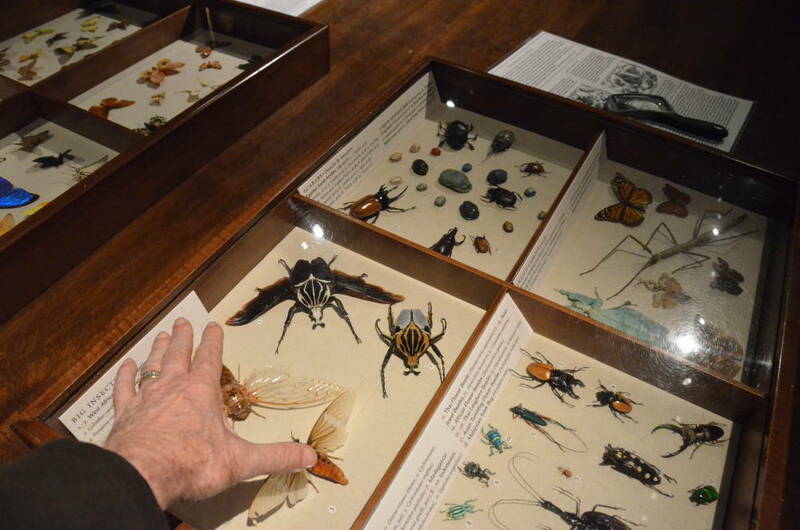 The author holds his hand above the Walters Art Museum's reconstruction of the kind of collection one could encounter in a Wunderkammer. This Baltimore museum has arranged an adjacent room as a wealthy collector's study room. Gould, Stephen Jay. 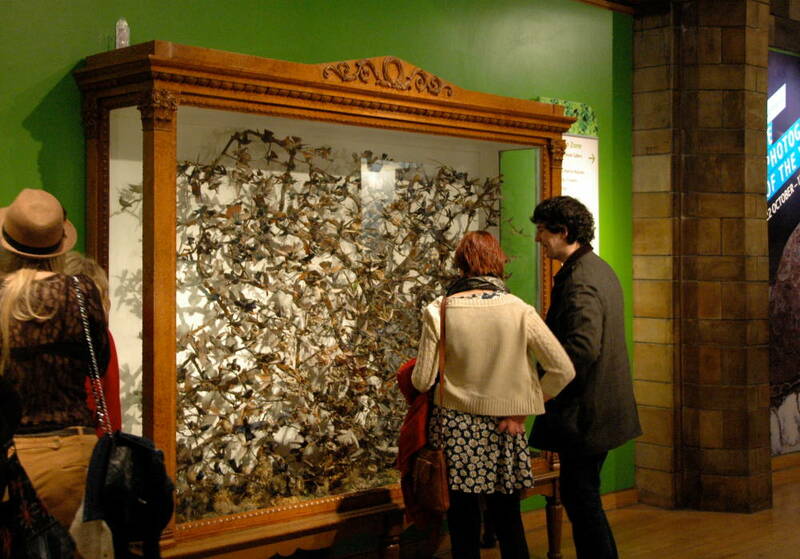 “Cabinet Museums: Alive, Alive, O!” Dinosaur in a Haystack: Reflections on Natural History. New York: Harmony Books, 1995. 238-47.